You may have seen the viral video – a Euclid Police officer beating a man during a traffic stop. But our six-month investigation into the department goes even deeper, uncovering serious red flags related to police use of force. We found a small group of officers are involved in the most incidents, and despite police brutality lawsuits, almost all of them are still patrolling the streets. Melissa Highsmith always wanted to be a police officer. The 30-year-old Cleveland resident earned her bachelor’s degree in criminal justice and even applied for a job at a local police department. “You’re supposed to trust them,” Highsmith said. “You’re taught when you’re little, police officers are there to help you. On March 6, 2017, Highsmith expected a quiet night. Around 6 p.m., she drove to Euclid to meet her friend, Shanell Gist, at Gist’s apartment. The long-time friends planned to celebrate Gist’s final semester of graduate school. First, they spent a few moments in the parking lot. Gist wanted to show Highsmith her new car. Highsmith said they didn’t see or hear anyone. They opened the bottle of champagne Highsmith brought as Gist’s 2-year-old daughter played in another room. Then, without warning, a man kicked down the front door and burst into the apartment. Highsmith was scared. She was also confused. 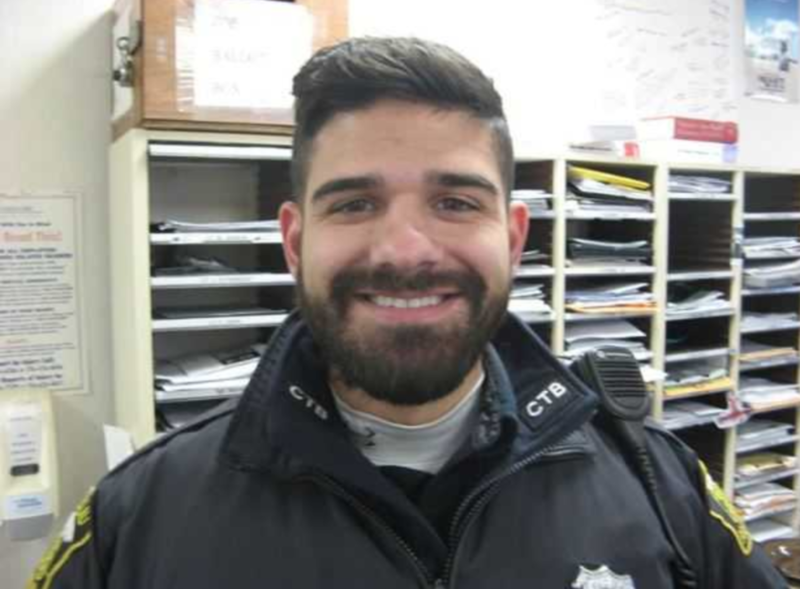 The man who had used a knife to break the lock and enter the apartment was Euclid Police Officer Daniel Ferritto. Highsmith said Ferritto screamed at her and Gist, repeatedly claiming they ran from him when they were outside. The next thing she knew, she said, Ferritto grabbed both sides of her shirt and dragged her to the cement patio outside the apartment. 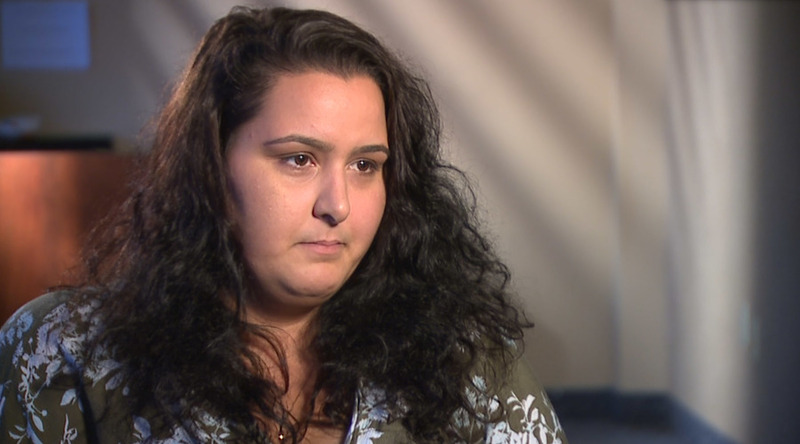 She said Ferritto placed her in handcuffs facedown on the ground but refused to explain why he arrested her. In his incident report, Ferritto said he demanded the women stop after hearing Highsmith and Gist yelling racial slurs in the parking lot. He also said they had an open container of alcohol in the car. Highsmith was charged with open container in a motor vehicle, resisting arrest and obstructing justice. Gist was charged with child endangerment. The charges against both women were eventually dismissed. 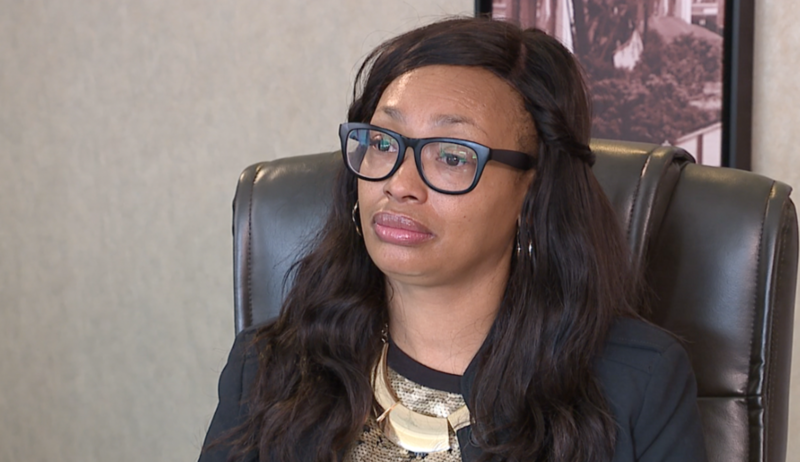 She and Gist have since filed a federal lawsuit against Ferritto and the City of Euclid for civil rights violations. The incident is among the hundreds of use of force reports 5 On Your Side Investigators reviewed as part of our exclusive investigation. We uncovered a broken system that leaves innocent civilians injured and allows problem officers to continue patrolling the streets – in many cases, with little or no accountability. For example, Ferritto was never investigated related to Highsmith’s incident, even after the lawsuit was filed, and remains on the force. When a Euclid Police officer uses force during an incident, he or she must report what happened in what’s called a resistance/response form, per department policy . We spent six months examining all of the 273 forms filed by officers between January 2016 and June 2018. Immediately, a troubling pattern emerged: only a handful of officers were involved in the majority of incidents involving uses of force, including punches, takedowns and Tasers. Our data analysis found less than 20 percent of Euclid Police officers were involved in more than 80 percent of the use of force incidents. 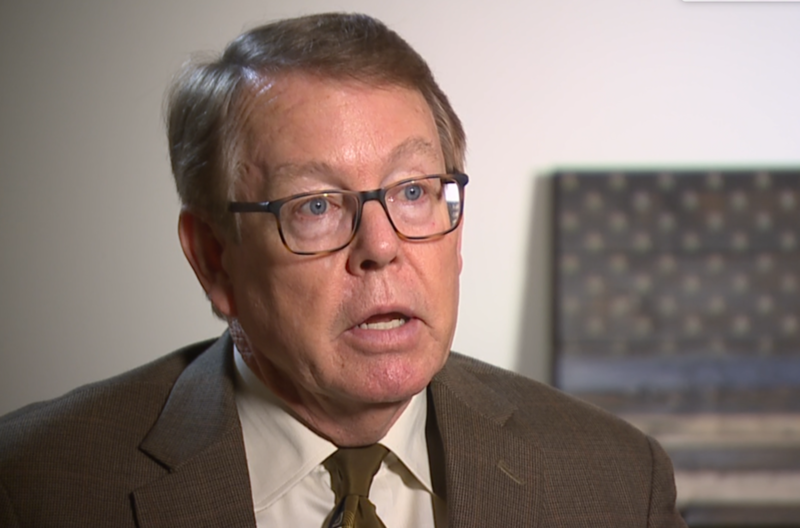 “When that happens, that is a red flag for the organization,” said Jim Buerrmann, president of the Police Foundation, a non-partisan research group dedicated to improving policing practices. “Clearly, when a small number of people are responsible for the lion’s share of the use of force, somebody needs to be taking a very hard look at that,” he said. So, which officers used force the most? Some are familiar faces, like Officer Michael Amiott. We found he was involved in 17 incidents, the seventh highest number of any officer within the department. 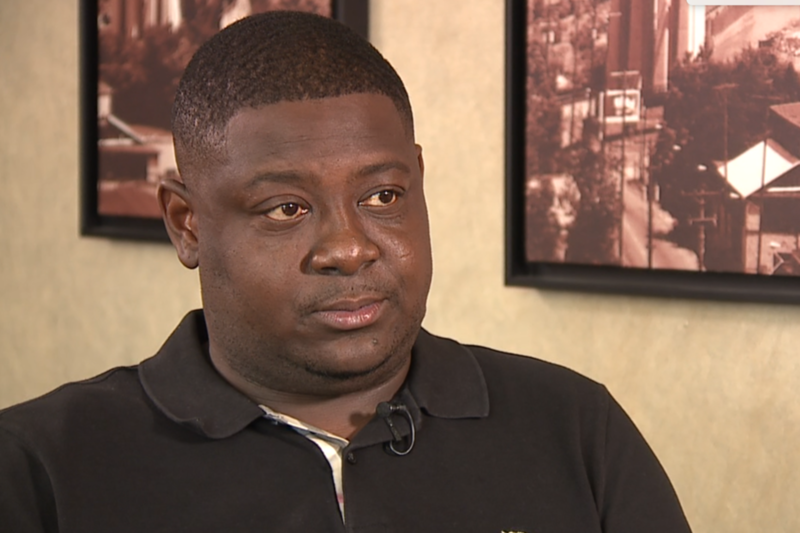 Recently, an arbitrator awarded Amiott his job back after he was fired when a video of him beating 25-year-old Richard Hubbard III was posted on Facebook and went viral. In the video, you can see Amiott repeatedly punching Hubbard in the face. The police brutality incident occurred during a routine traffic stop on Aug. 12, 2017. In their report, officers at the scene said Hubbard ignored commands to turn away from officers after he was ordered to get out of his car. Hubbard was charged with driving under suspension and resisting arrest, but, like Highsmith and Gist, he was later cleared of all charges . On Sept. 28, Hubbard filed a federal lawsuit against Amiott, two additional officers and the City of Euclid alleging civil rights violations. After the City of Euclid announced Amiott was awarded his job back by an arbitrator, the Euclid NAACP issued a travel advisory for "travelers, particularly those of color to proceed with caution when driving through the municipality of Euclid, Ohio." Amiott is also facing allegations of police brutality in a separate federal lawsuit filed in January stemming from another incident. Erimius Spencer, 30, alleged Amiott reached into his pocket without cause and pulled out what appeared to be a small amount of marijuana during a Dec. 5, 2016 arrest. The lawsuit alleges Amiott then twisted Spencer’s arm, kneed him in the groin, pushed him to the ground, Tased him 10 times and kicked him in the face. The kick fractured Spencer’s orbital bone. Our analysis also shows Euclid officers use or display Tasers more often than any other type of force. 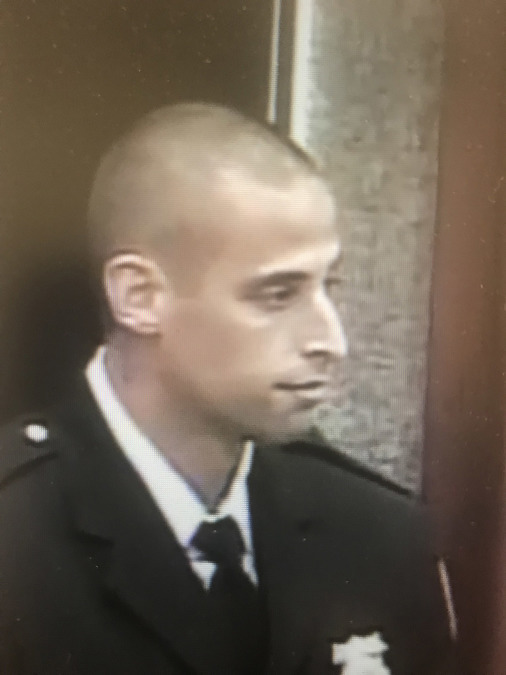 In addition, we found Amiott’s partner during the arrest, Shane Rivera, was involved in more use of force incidents than almost any other officer during the time period we reviewed. “The things they have done, the way they handle people, they just [need to] redo their whole force,” 37-year-old Lamar Wright said. 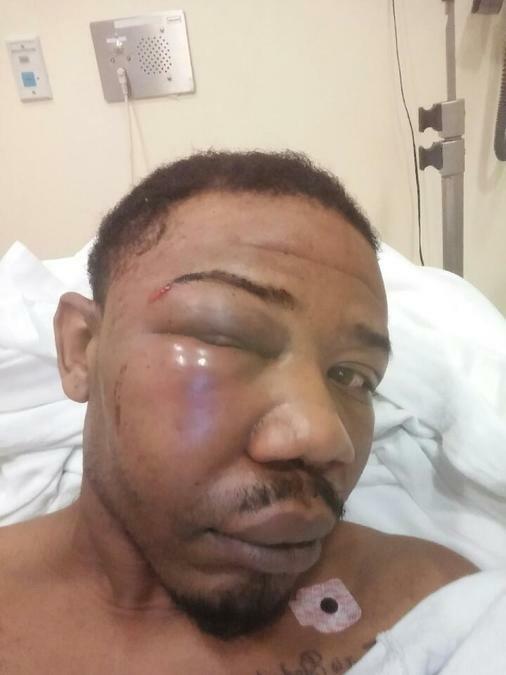 Wright has also filed a federal lawsuit alleging civil rights violations by Euclid Police officers. On Nov. 4, 2016, he pulled into a driveway of an acquaintance on East 212th Street in Euclid to call his girlfriend. Seconds later, two men wearing dark clothing appeared at his car doors, guns drawn. He thought he was being carjacked by robbers. 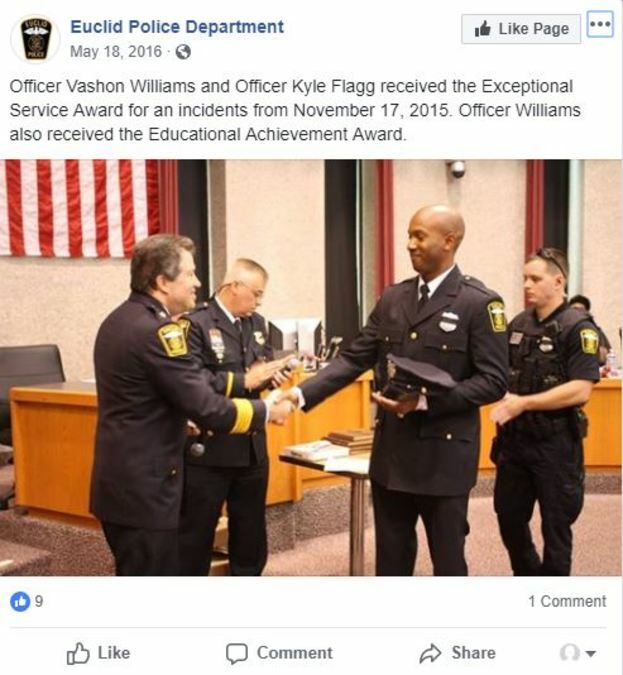 Instead, it turned out the two men were Euclid Police officers Kyle Flagg and Vashon Williams, who were doing surveillance on a nearby home. It was surveillance that had nothing to do with Wright. 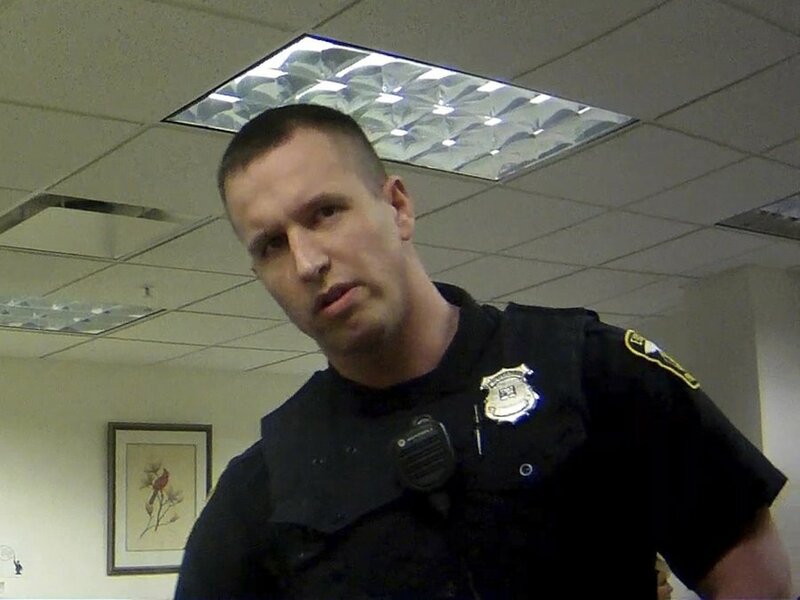 Flagg’s body camera video shows the officers demand Wright show them his hands and get on the ground. For a brief moment, Wright struggled to raise his arms. He had recently had stomach surgery. A colostomy bag was still attached to his right side. Wright said Flagg then grabbed and twisted his left arm and pulled him to the ground. In the video, you can hear Wright repeatedly say Flagg is hurting him. Flagg then deployed his Taser. Williams used his pepper spray. The officers accused Wright of “reaching,” appearing as if he was grabbing a weapon. Wright said he was lifting up the arm rest around his colostomy bag to cooperate with officers’ orders. Police did not find a gun in his car. Wright’s lawsuit alleges Flagg and Williams filed false police reports about the incident. They charged Wright with resisting arrest and traffic violations. Those charges were dismissed. The officers remain on patrol. “It’s crazy – like they’re almost getting away with it,” Wright said. Even more troubling, we found Flagg was involved in 35 use of force incidents alone – more than any other officer. Like Rivera, Ferritto, who’s accused of attacking Highsmith, was involved in multiple incidents. Specifically, his name is mentioned on 24 response/resistance forms. Between Flagg, Ferritto and Rivera, the three officers account for 30 percent of the department’s use of force response/resistance forms. 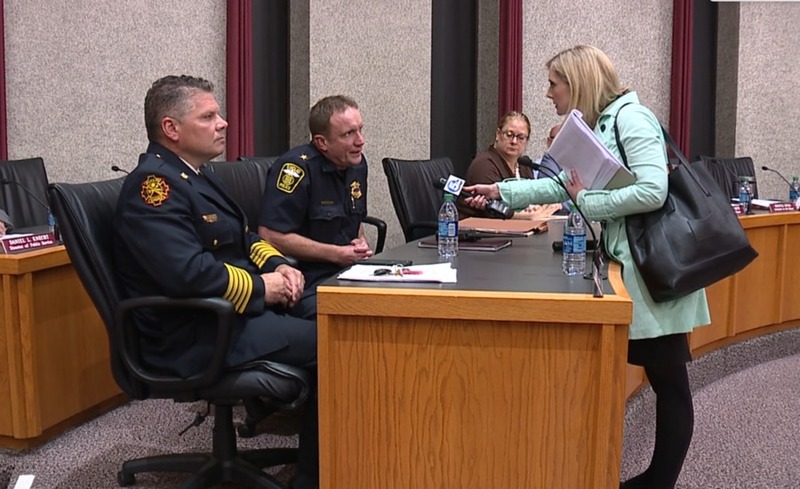 “It's obligation of the leadership of that organization to try to find out why that's occurring and then make a decision about helping that officer, removing them from the context or removing them from the organizations…[and] protect the people of that community.” Buerrmann said. The department’s use of force training has come under fire in the six federal lawsuits filed against the City of Euclid over police brutality during the last two years. In a recent lawsuit filed by Euclid resident Shajuan Gray, the complaint referred to a use of force PowerPoint presentation utilized by the department for training purposes. Slide from Euclid Police training presentation. Gray, 46, said on March 27, 2017, Officer James Aoki knocked on her door about a noise complaint that she was playing her music too loud. She was in the shower at the time and answered her door in a bath wrap. Gray alleged Aoki forced his way into her apartment and assaulted her in her kitchen, leaving her with bruises on her body. “As he’s slamming me and pushing me against the freezer and refrigerator, he’s twisting my arms up in an uncomfortable position,” she said. “I’m telling him then, ‘You’re hurting me. Why are you doing this to me? Please stop.’"
In the lawsuit, Gray said her bath wrap fell off while Aoki allegedly assaulted her, exposing her chest. She said he refused to let her to get dressed before he took her to the police department. Aoki, who has been involved in 14 other incidents involving the use of force since 2016, did not have a body camera on during the incident. Later, an assisting officer arrived, who was wearing a body camera. His video showed Gray walking down the stairs of her apartment in handcuffs wearing only her bath wrap. She can be heard asking to be allowed to put on clothes and telling officers they're hurting her. In an incident report, Aoki said Gray refused to provide her name, tried to shut the door on the officer and resisted arrest. She was acquitted of the charges filed against her after the incident, which included resisting arrest, obstruction of official business and noise violation charges. Gray’s lawsuit wasn’t the only one that highlighted problems with Euclid’s use of force training presentation. Luke Stewart was shot and killed by Officer Matthew Rhodes in March of 2017. According to his family’s complaint , Stewart was asleep in his car and unarmed when Rhodes approached him. After waking Stewart, a struggle ensued when Stewart began to drive his car. U.S. District Judge James Gwin ruled Rhodes was justified when he shot Stewart, but, in an unusual move for a judge, he sharply criticized the Euclid Police Department. In his ruling , Gwin wrote the training presentation shows the department displays a “cavalier indifference” to use of force training. Gwin described the comedy video as “grossly inappropriate” to show officers as part of formal training. He also criticized the department for giving officers the same “barebones” test each year on its use of force policies and Chief Scott Meyer’s failure to create a training committee as mandated by the department’s policy manual. We made multiple requests via phone and email for a sit-down interview with Meyer. He did not respond, so we went to a recent city council meeting to share our findings and ask him about his department’s use of force. When asked whether he believes the police department’s training materials are appropriate, Meyer said yes. When specifically asked about the Chris Rock video, he did not respond. We also asked Meyer why 20 percent of his officers account for more than 80 percent of use of force response/resistance form. “That’s something we could talk about at a later time,” Meyer said. Hours after our investigation published online, Euclid Mayor Kirsten Holzheimer Gail responded to News 5's reporting via email and said the city and police are "committed to providing a safe community and to treating all residents justly and with dignity and respect." The City of Euclid and the Euclid Police Department remain committed to providing a safe community and to treating all residents justly and with dignity and respect. The incidents in this report occurred in 2016 and 2017. Our goal remains to continuously upgrade and improve the Euclid Police Department. To that end, we have implemented new programs such as a multi-department use of force review committee. We reached out to the Department of Justice to implement a Procedural Justice Training Program, the very first of its kind in Ohio. We have and will continue to far exceed state training requirements and have enhanced training in areas including community relations, de-escalation techniques, and defensive tactics. EPD use of force incidents remain well below the national average*. We will continue to work with the Euclid Police Department, residents, and community partners to ensure Euclid remains a community where we all can be proud to live, work and visit. The officers mentioned are some of the most decorated in the department and are probably responsible for taking more guns, drugs and violent criminals off the streets than the rest of the department combined. Some are even assigned to a Community Response Unit, which is tasked with addressing severe crime in the community. Some have saved almost as many overdose victims with Narcan, as times they’ve used force. You can read their complete statement on their Facebook page here. After Ferritto hurt her, Highsmith said, she feels anxious when she sees a police officer. She said the incident led her to put her dream of becoming of police officer on hold.